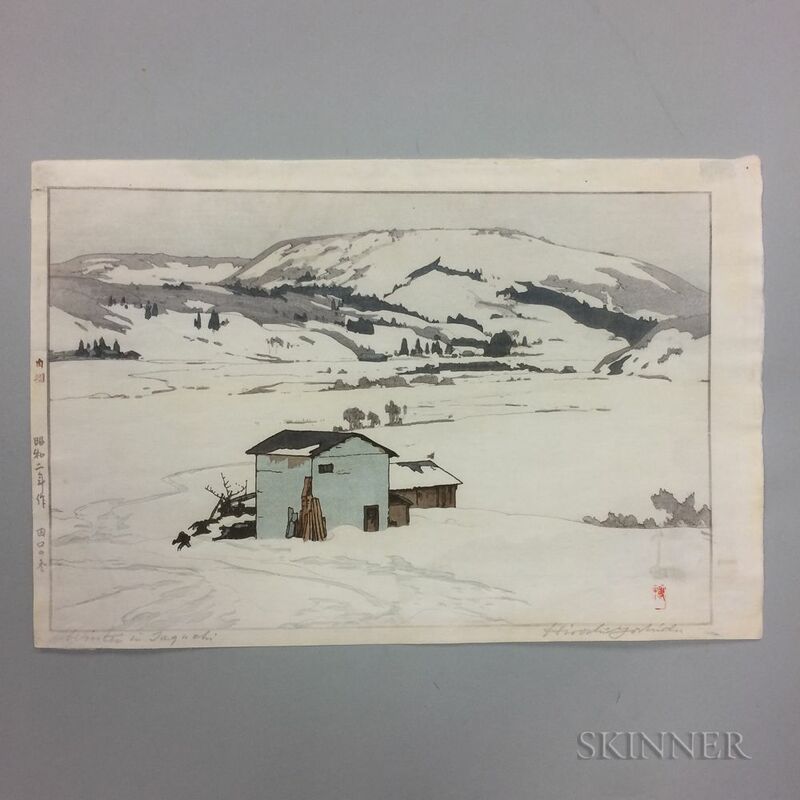 Japan, 1927, titled and signed in pencil in the bottom margin, faded signature on print with seal, dated and titled in Japanese in the right margin with red "jizuri" seal, oban yoko-e, 10 7/8 x 16 1/4 in. backed, tears to three corners, a 1.5 in. horizontal tear to left side, severe fading to signature on print, overall toning, creases, buckling along edges, pinholes.